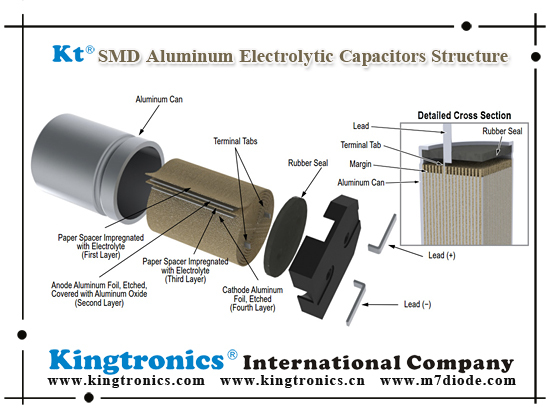 Aluminum Electrolytic Capacitors are used widely, in automotive power, industrial LED lighting, telecom infrastructure etc..
Worldwide top 10 distributors keep long-lasting cooperation with us, we are able and willing to support you as well, show us your positive cooperation willing please. 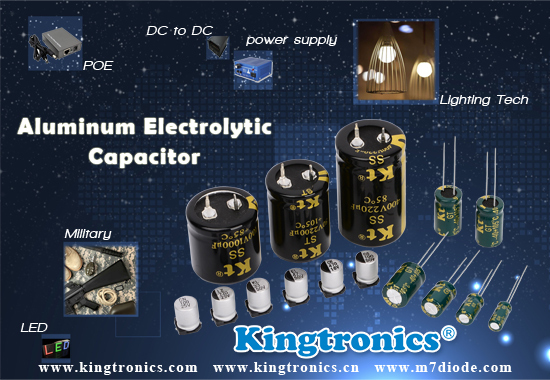 When used in switching power supplies, they are often the critical component limiting the usable life of the power supply, so high quality capacitors are used in this application. 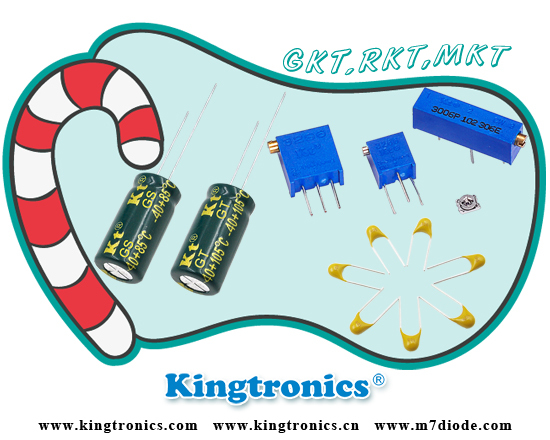 Example, as filters in audio amplifiers whose main goal is to reduce mains hum. 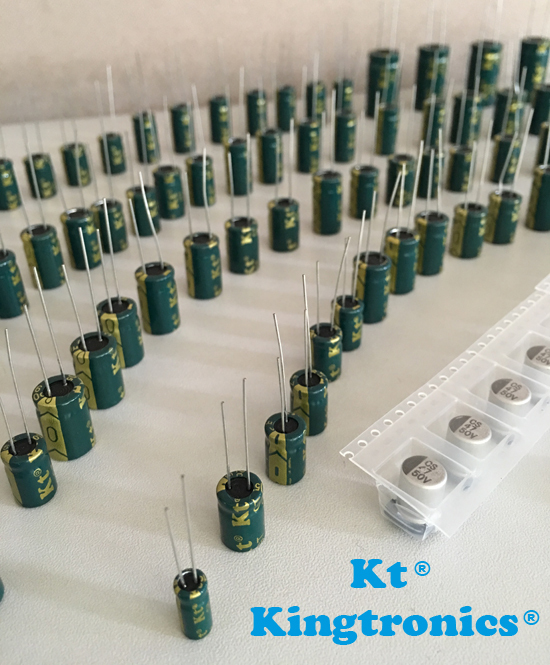 Please kindly be noted that Kt Kingtronics samples of Aluminum Electrolytic Capacitors are free to offer for your test. 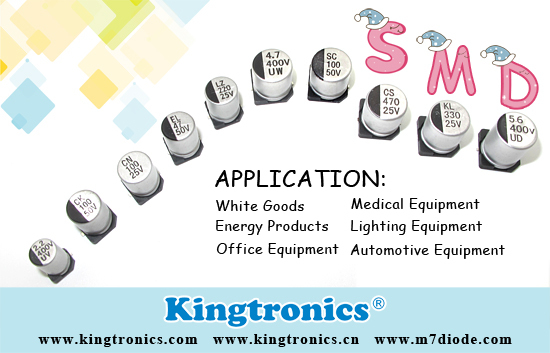 If you needed, welcome send the test product model to us, we will give you our best support. We hope you can share your results, views and using experience with us after testing. 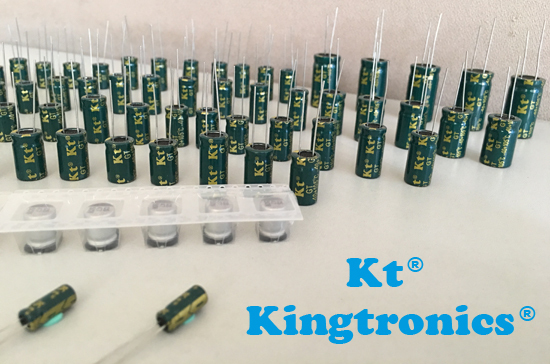 We believe Kt Kingtronics products will make you satisfied and Kt Kingtronics will be a good choice for you. 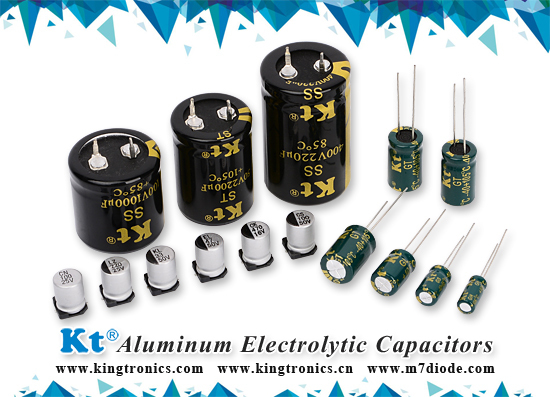 Good day friends, Kingtronics offer good quality and price for Aluminum Electrolytic Capacitors. Kindly please check our offers below and share with us your feedback. 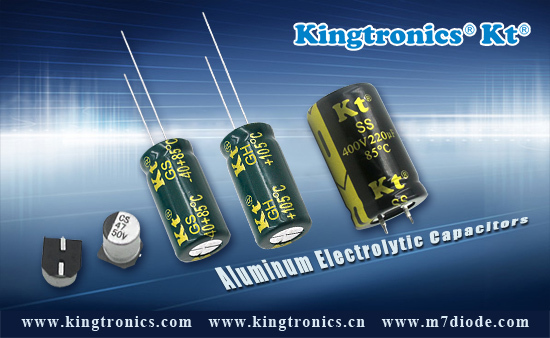 Past 10 years we Kingtronics only sell Aluminum e-cap in Mainland & HK, at the beginning of 2016 we turn to overseas market, many customer feedback our prices is very wonderful. 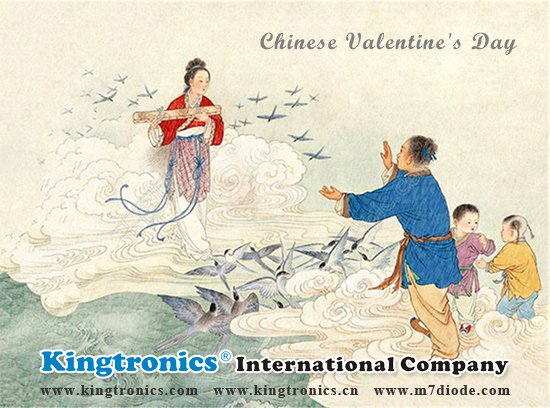 Welcome check prices with us !